The Texas soccer team finished off the spring season with a 4-0 win over Northwestern State in Dallas on Saturday. The Longhorns won four full-squad games during their spring schedule. They opened with a 3-0 win over UT-San Antonio at Myers Stadium on Feb. 16. A 3-1 win over Texas A&M-Corpus Christi followed on March 3. The Longhorns then topped St. Edward’s 2-0 at Whitaker Field on the UT campus on March 23. Katie Glenn scored her fifth goal of the spring in Saturday’s game. Haley Berg, Carlee Allen and Cydney Billups all scored in Saturday’s win. Cyera Hintzen was an offside call away from registering a goal as well. In the 20th minute she was assisted by Billups but was ruled offsides. With 14:24 on the clock, Texas took a 1-0 lead on Berg’s first goal of the spring. They doubled the lead when Allen scored at 34:30 into the first half. Glenn scored in the second half to make it 3-0 before Billups capped the scoring with a tap in goal not two minutes later. 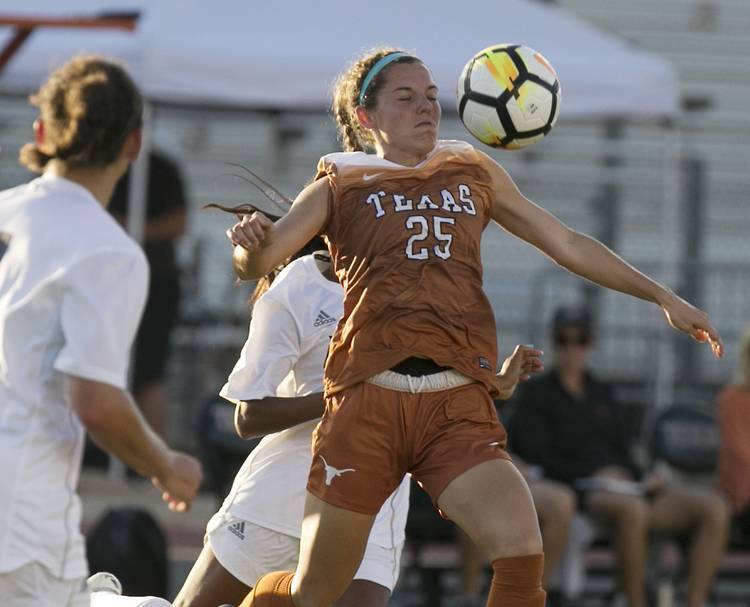 The Texas soccer team is coming off a season in which it reached the NCAA Sweet 16 for just the fourth time in school history. The team is returning 24 letter winners.